Custom Lace Wigs - The Guide. It's your hair so why not have it all your way? Custom lace wigs allow you to customise a remy or non-remy full lace wig, lace front wig, synthetic full lace wig, or synthetic lace front wig to your individual specifications and although we no longer provide this service, here is a guide to explain how the custom wig process works. Whatever the reason for needing or wanting to wear a peruke, the feeling of not looking like yourself is the same for anyone. This is why with think that custom lace wigs are so important. 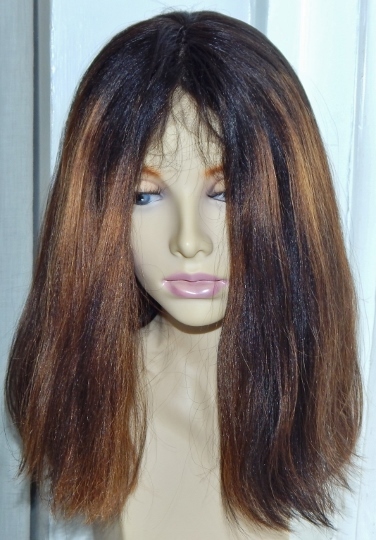 You can choose from a custom made full lace wig or a custom lace front wig. Customising a wig is the same thing as you designing your own ideal hairpiece and because of that, there are definitely questions you should ask before you order about the process of ordering a custom made wig as well as questions about colours and textures for custom made wigs. Many retailers can take a picture of the hair you would like and have it made into a custom made wig that meets your specific requirements. It could be a photo of you with growth hair, or it could be a picture of someone else with a hair length, colour and style that you really like. It might be that you use a custom wig service because you want an ordinary straight/curly/wavy wig made in the exact same colour as a sample of your own hair. It could be human hair (Brazilian, Chinese, Mongolian, Indian or European) or it could be heat resistant synthetic hair. What is important is that you find a company that will commit to working with you to attain the hair that you desire. Quite simply, everyone. It’s for children, teens, men and women. What’s more, because each wig is entirely designed exclusively by and for you, you get record of your design to be used when it’s time for your hairpiece to be replaced. 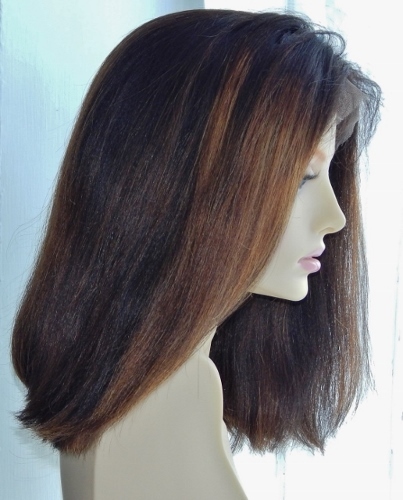 So whatever you’re after with custom wigs, make sure that you know what you want and that the company can provide it.